Silver Star Shipping Line has a large variety of ships from the Edwardian era and upcoming ships from the Art Decodence era! 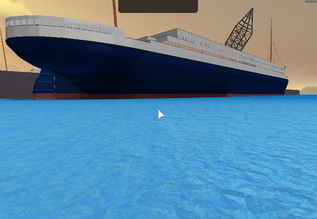 RMS Queen Anne is 457 studs long and 67 studs wide. RMS Queen Anne is a really old ship that will be put out of service on 5/15/14. Queen Anne has limited interiors. RMS Queen Anne is the 2nd sister to the Queen of Dreams and the smaller of the 4. RMS Queen of Dreams is the flag ship of Silver Star Shipping Line! Queen of Dreams has been with S.S.S.L. since 2010! At this very moment she is getting a very large refit that will make her have lots of styled cabins, 4 decks, better smoke stacks, a better pool, etc! RMS Queen of Dreams is also the largest of the Dream Class which includes the HMHS Queen Anne, RMS Falcon, SS Whitefang. Queen of Dreams is also 527 studs long and 67 studs wide. Queen of Dreams' refit will be done around 3/20/14!